Xiaomi India launched Redmi 5 in the country on Wednesday. Here are the details you need to know. Xiaomi is geared up to launch a new Redmi phone in India today in an event. Xiaomi has already launched the Redmi Note 5 and Redmi Note 5 Pro smartphones. Also, it came up with the Mi TV 4A smart TV models in the country at affordable price points. Following these launches, Xiaomi is now all set to bring another smartphone to the Indian market, which is expected to create the same success for Xiaomi in India. 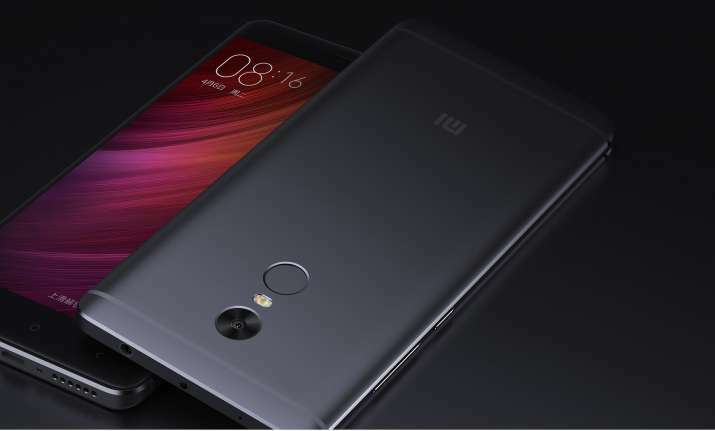 The device could most likely to be the Redmi 5, however, the name of the device is yet to be confirmed by the company. Redmi 5 has been launched in India. It was live-streamed on the official website of Xiaomi India and also on the company's YouTube channel at 3 pm on Wednesday. The flagship phone was first launched in China in December last year. Redmi 5 has been made exclusive to Amazon. But people can also buy Redmi 5 on Mi.com and Mi Home Stores, apart from the offline retail partners. Amazon explained that the Redmi device is a "powerhouse" as it uses the hashtag #CompactPowerhouse to describe the device. Xiaomi Redmi 5 adorns a 5.7-inch HD+ display with a resolution of 720x1440 pixels and 18:9 aspect ratio. Under its hood, the smartphone makes use of an octa-core Snapdragon 450 SoC. This device comes in three variants - 2GB RAM and 16GB storage space and 3GB/4GB RAM with 32GB storage space. The smartphone comes with a microSD card facilitating expandable storage. The device sports a symmetrical design with the rear camera and fingerprint sensor perfectly aligned on the back as well as with the micro USB port on the bottom. The two speaker grills are placed on either side of the charging port and there's also the 3.5mm headphone jack on the top edge of the device. The imaging aspects of the Redmi 5 include a 12MP rear camera and a 5MP selfie camera. The Redmi 5 runs on MIUI 9 based on Android 7.1 Nougat. On the camera front, Redmi 5 includes a 12-megapixel sensor on the back with 1.25-micron pixels for improved photography and a 5-megapixel front-facing camera with Beautify 3.0 and Soft-Toned selfie light for better selfies. Redmi 5 is backed by a 3300mAh battery and promises to deliver up to 12 days of standby time. The device is expected to hit the India shores with almost the same specifications. As already mentioned above, Redmi 5 is an Amazon Exclusive smartphone Users have to register to be notified when the phone goes on sale. Xiaomi Redmi 5 price in India starts from Rs 8,999 for 3GB RAM, 32GB storage variant, and Rs. 10,999 for the 4GB RAM and 64GB storage variant. The launch event has also unveiled an instant cashback offer of Rs 2,200 from Reliance Jio with 100 GB of additional data. 5% discount is also applicable on Amazon and Mi.com using SBI credit cards.